green sea blue: "Make something already!" Azzari's holding a lovely spring photo swap over at The Sweet Light. Be quick, it ends today (April 1)! Doodlers Anonymous invites you to draw a calendar for the month of April, with a chance to be featured in their illustrated calendar if you win. There were some amazing entries for February - they made me feel like doodling right away! This ends on April 6. If book-covers are your thing, the Re-covered Books contest by The Fox Is Black is for you. This time, the tome undergoing a makeover is The Odyssey by Homer, which should be fun! It closes on April 15. 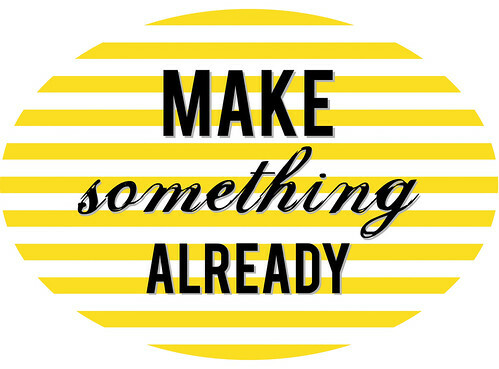 Or, if you're feeling ambitious, you could try making something everyday instead. P.S. Try typing 'Helvetica' into the Google search bar! Happy April 1st!